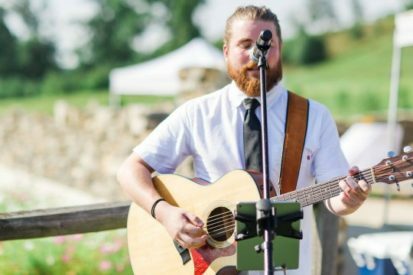 On Saturday, enjoy live music with Dan McGuire. Dan fronts The Dan McGuire Group, a live event band out of Frederick, Md. As a solo artist, Dan plays modern and classic hits from the 80s, 90s, early 00s, and current music. Combining expert musicianship, incredible vocal range, and the ability to take requests from the audience, each show is unique and captivating. Come enjoy this musician from 2:00-5:00 pm.